Hey ladies! So I'm testing out another subscription box service today but this time one that involves everyone's favorite subject - makeup! 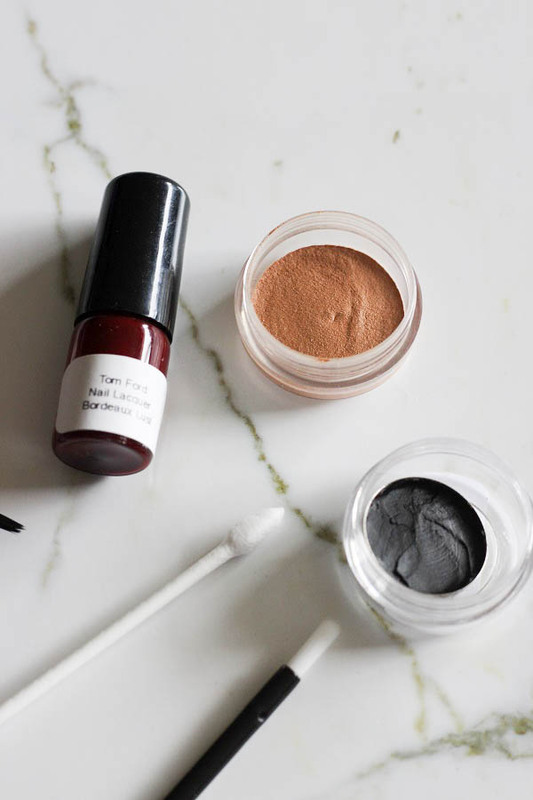 We all know how much I love testing out new products all the time but it can get annoying to ask for makeup samples in stores. Sometimes the sales associates are just mean and don't want to give them to you (especially at those department store counters ugh), might not have the samples in stock or might not sell the brands that you're looking for. Lastly, the worst part that I'm sure we all have experienced in the past: only has samples that clearly looks dirty and needs to be replaced badly. No thank you! 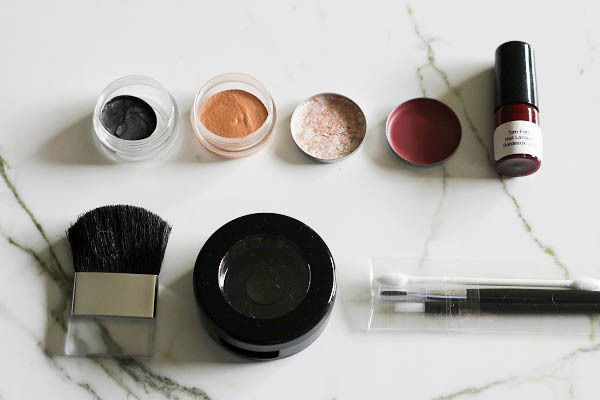 That's why I was intrigued when I heard about So Choix which is the first online beauty counter that lets you try makeup samples of your choice every month which gets sent right to your door. They have an endless amount of beauty products from so many brand names such as Bobbi Brown, Chanel, and even Gucci to name a few. 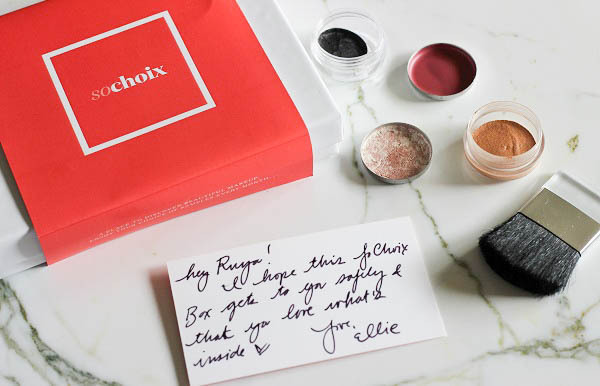 What I love about this service is that unlike other subscription boxes that send you random samples every month that you probably won't even like, So Choix focuses on giving you the power to choose whatever you want which is just the way it should be especially when it comes to makeup! 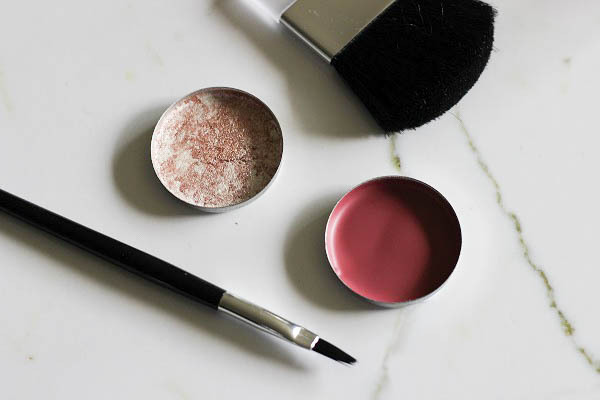 There are two ways you can use So Choix: the first way is by sampling any of the makeup products that they carry for $5 each without signing up for subscription which is perfect for people like me who can't make up their minds about subscriptions. The second way is by subscribing for $15 a month and having the choice of 5 makeup products to try. If you want additional products then they are $3 each. You'll also earn 250 points ($5 credit) every month and can be accumulated so you can buy the full-size of the products that you tried. Sounds good to me! They were kind enough to send me a box and I have to say I'm so impressed by how well they packaged everything and made sure that nothing would be damaged or accidentally opened during shipping. The best part is how clean and hygienic everything is and even comes with a mini eyeliner brush, lip brush, Q-tip, and a blush brush so you can try everything right when you open the box. They also sent a container which I can put any one of the pans inside and take it with me wherever I go. Most importantly, the samples are so much more generous than anything that you'll receive at a store and will last you a while so you'll really see if you like the product or not. Tom Ford Nail Lacquer in "Bordeaux Lust"
Yes, So Choix actually sends nail polish samples and it comes in a cute little bottle! I don't know any makeup stores or beauty counters that actually gives out nail polish samples so to me this was a surprise. I've always wanted to try Tom Ford nail polishes but the expensive price tag always scared me away so it's nice to be able to test out this gorgeous maroon color (perfect for the fall!) before buying it. Probably one of the most talked about bronzers from my favorite brand. It's a universally-flattering shade that goes on creamy and is long-lasting. I'm so glad So Choix sent a mini-brush in the box so I can test it out right away (cause I'm an impatient 5 year old when it comes to makeup). 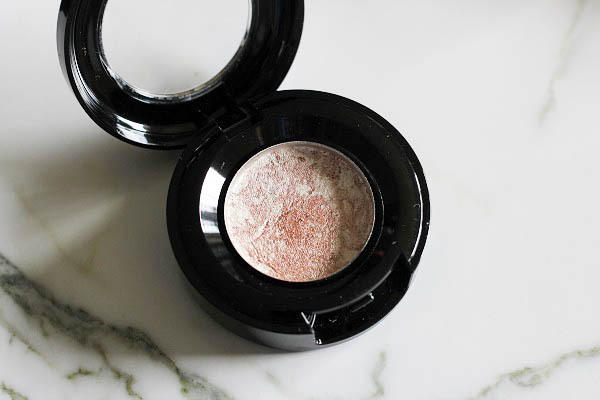 Bobbi Brown Highlighting Powder in "Pink Glow"
I've always had an obsession with highlighters and even though I usually stick to liquids, this powder one is making me change my mind. It gives a gorgeous pink glow that makes you look radiant and more awake (especially when you put it on the inner corners of the eyes). Plus the sample will last a long time since a little bit goes a long way. Dolce & Gabbana Dolce Matte Lipstick in "Dolce Desire"
Another sample that will last me a while - this one's a gorgeous neutral berry color that's perfect for fall. Once again, So Choix saves the day with a mini lip brush that's included so you won't have to use your fingers to apply. Gucci Infinite Precision Liner in "Black"
Every girl needs some great black eyeliner and this one was put in a pan which was inside a cute little plastic jar. The eyeliner is creamy, goes on smoothly, and doesn't dry easily like other cream eyeliners I've tried. Overall, if you're someone who's constantly trying out new products and don't have the time to go to a store or even have certain brands available in your city then I highly recommend giving So Choix a try. Plus you can't beat the price and if you're scared of committing to a subscription box service then you can try it without subscribing!